Submitted by peter on 25 August, 2005 - 15:41. 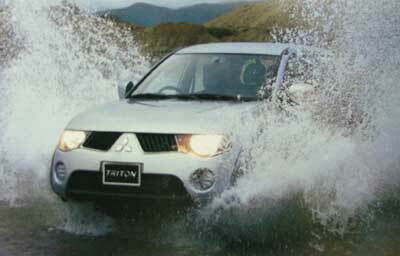 Today Mitsubishi launched the their new pickup, the Triton. This truck will replace the Strada, and on the surface it would appear that it will offer stiff opposition to Toyota and Isuzu the current market leaders in 1-ton pickup trucks in Thailand. 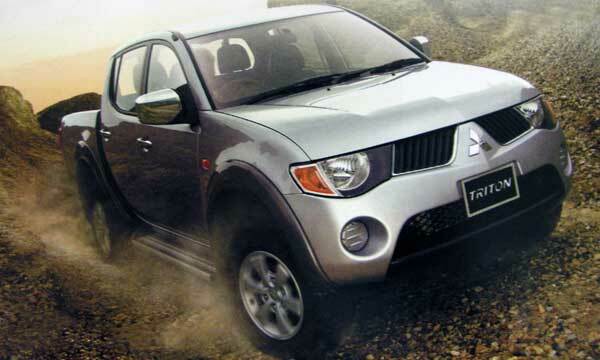 Mitsubishi have developed new diesel engines for the Triton. Available in 3.2 and 2.5 liter versions the "DI-D Hyper Common Rail" engines use direct injection, unlike the Strada's indirect injection system, and have power output of 165ps and 140ps respectively. 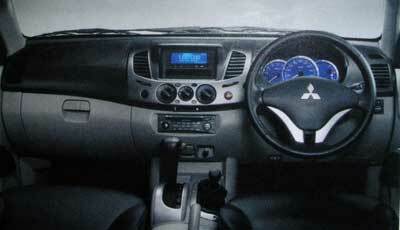 A lower spec 2.5 liter engine will also be on offer in the 2-wheel-drive models and will develop 116ps. The truck appears a little awkward from the front, but looks respectable enough. The interior is very refined looking, more car-like than the current crop of pickups. Visually it's a big improvement on the Strada. More information on the new DI-D engines is available here.